We can’t deny that people like shopping. People go to work to earn money they could spend to buy the things they need. Sometimes, aside as being a necessity, shopping becomes a hobby. Shopping gives us satisfaction since we could buy not only the things that we need but also those that we want. Commonly, we go to malls and stores when we want to shop. We go there because we know that we could find what we want to buy there. Most of us want to shop with a company than to shop alone so that at the same time we could spend time with them. However, the age of technology has brought us another advance. For the shoppers, there are already new ways to buy things desired. 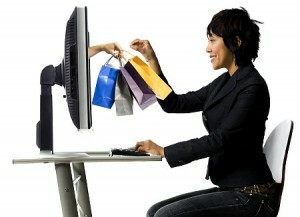 Shopping online has already made its way in the business industry. By the use of our computer and internet connection at home, we can already buy anything that we want. There are already online shops that sell items and products. It is just like buying in a store, the only difference is that the retailer is in the internet. How does shopping online work? Consumers or those who want to buy a service or a product can just open their internet and search for a shop online. It is not hard to look for online shops since there are already numerous of this kind of sites online. Alternative vendors are searched through the use of shopping search engine. When a consumer has found what she wants to buy, he/she may sign up in the website. This is necessary so that information will only be asked once, and no more when you come back in another time. In online shops, products can be ordered through email while others just order through clicking on the products. The consumer then will receive confirmation through email once the transaction has been completed. The most common way of payment is through credit card. Others like billing to mobile phone, check, debit card, gift card, cash on delivery, etc. instructions for the payments will also be given by the online shop. After ordering, how then can we receive the items that we purchased? If the items you bought are digital media products like software, music, movies, images, eBook, then you will receive it through downloads. Other goods reach the shoppers through shipping the products to the costumer’s designated address. Unlike other malls, online stores are usually open 24 hours a day. Consumers must not worry because most of the online shops include labels for return shipping in case there are instances that the consumer wants to change the received product. Consumers must also be careful in choosing trusted online shops to avoid scams and fraud. One way of knowing the website is through the blogs, reviews, and comments of the online shoppers. Internet has already been making a great impact in our lives. 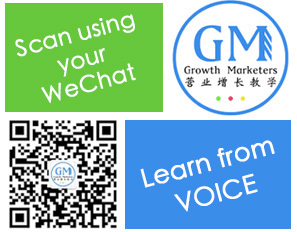 It is not only for education and entertainment purposes anymore, but also for business and marketing. Since internet connection is almost available to all households, communication is not scarce. It is just amazing to think that technology has affected even the aspect of shopping. You just stay in your house, open your computer, click, and viola, any moments soon, you get what you want.